Today's weather after Rainfall is been a blessing with disguise for Siligurians. Cool 24-26℃ temperature prevailing right now. People have turned off their fans and enjoying the lovely weather. Hope the pleasant calm weather prevails. 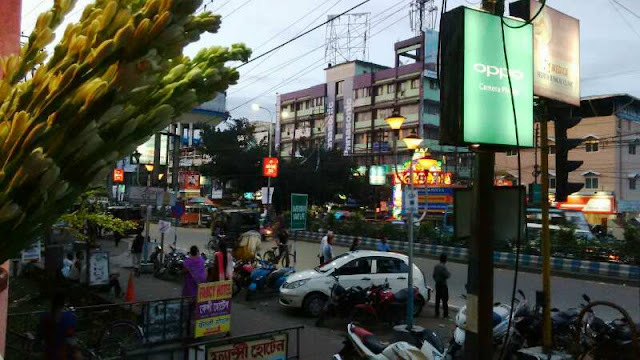 Photo taken near Biswadeep Cinema Hall at Hill Cart Road, Siliguri at 6pm today.